US hospitals added 13,600 jobs in March to a seasonally adjusted 5,223,400, the Bureau of Labor Statistics reported on April 5. That’s up 108,500 more employees than a year ago. Overall, healthcare employment has increased 397,500 in the past year. 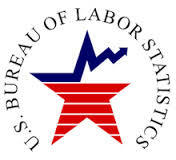 The overall unemployment rate was unchanged at 3.8%.